This announcement was made on the UN World Water Day. H.M. King Carl XVI Gustaf of Sweden will present the prize at a Royal Award Ceremony during the 2012 World Water Week in Stockholm on August 30. 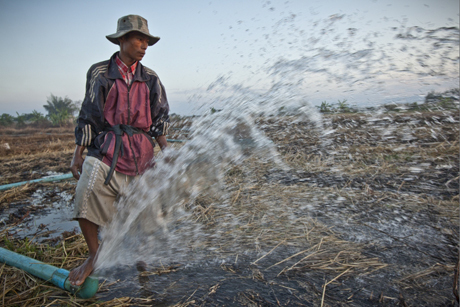 Seventy percent of global freshwater withdrawals are used in agriculture. With global food demand projected to double by mid-century, more food will need to be grown with less water. 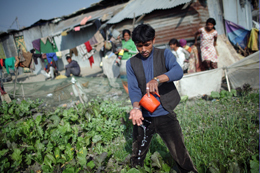 IWMI has been the driving force promoting policies and techniques to help farmers to produce ‘more crop per drop’, and to implement solutions that enable agriculture to cultivate enough food to feed the planet’s growing population with limited water resources. 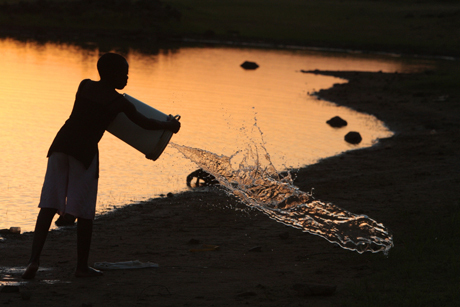 Over the past quarter century, IWMI has established its place as the definitive source for comprehensive data and knowledge on global water resources. From 2002-2007, IWMI led a team of 700 scientists to produce one of the most important research programs of water management ever conceived. The resulting publication, Water for Food, Water for Life: A Comprehensive Assessment of Water Management in Agriculture, established an unprecedented knowledge base on the status of global water and land resources, and is one of the most influential studies ever produced on water and agricultural policy. By providing clear evidence of where and how water scarcity has increased and its impact on all sectors of the economy, the report’s findings have placed sustainable water resource management as a priority issue for governments, industries and international organizations around the world. The institute’s extensive work with irrigation reform has led the way for new and improved design, operation and maintenance of irrigation systems throughout Asia and Africa. Productive use of wastewater allows many to farm in urban settings. : Research has helped reduce the health risks and is looking for profitable new uses of urban runoff and sewage. Photo: Tom van Cakenberghe/IWMIIWMI has also helped shape the current international guidelines on how wastewater can be safely used in agriculture, a practice that is employed by tens of millions farmers worldwide. 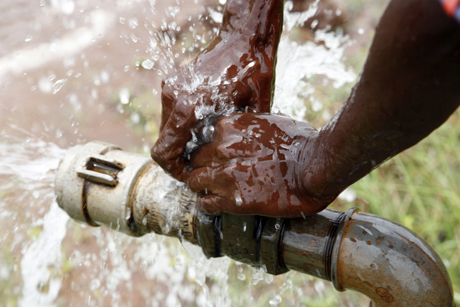 IWMI continues to lead new initiatives to establish business models to attract investments in wastewater reuse systems that can benefit rural communities in developing regions. IWMI's advancements in the application of remote sensing and geographic information systems (GIS) analysis have dramatically improved our ability to measure the availability and efficiency of water use, and directly enables farmers across the world better manage agriculture water resources. IWMI’s Water Data Portal, and its global maps on water scarcity, irrigation use, environmental flows, and drought patterns, are among the most important information source in the water science arena. Over 100,000 publications are downloaded from the IWMI website every month, and are widely read on leading digital repositories worldwide. This work has also led to the creation of a water accounting system that can determine the amount of potentially usable water in a basin, assess where the water is going and calculate the actual cost per cubic meter. The tool is widely used by planners to identify where water can be saved, and how it can be used most effectively. The 2011 publication, An Ecosystem Services Approach to Water and Food Security, led by IWMI and the United Nations Environment Programme, outlined how a new ‘ecosystems-based’ approach to agriculture can protect natural systems and potentially double agricultural production. The continued work in this area can radically change how agriculture is practiced in the future and ensure food security for a global population set to reach 9 billion by 2050. 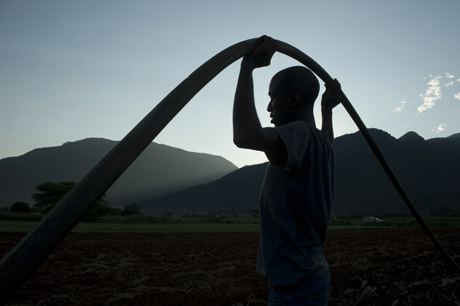 90% of agriculture in Africa is rainfed. : Finding out how its productivity could be improved will benefit some of the world's poorest farmers. Photo: David Brazier/IWMIFounded in 1984, the International Water Management Institute (IWMI) is a nonprofit, scientific research organisation focusing on the sustainable use of land and water resources in agriculture, to benefit poor people in developing countries. IWMI’s mission is “to improve the management of land and water resources for food, livelihoods and the environment.” The Institute has its headquarters in Colombo, Sri Lanka, with regional offices across Asia and Africa. IWMI is a CGIAR Consortium Research Centre and works in partnership with developing countries, international and national research institutes, universities and other organizations to develop tools and technologies that contribute to poverty reduction as well as food and livelihood security. 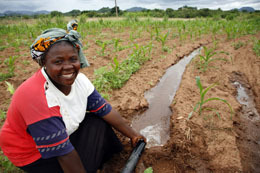 Improving food safety in Africa where vegetables are irrigated with polluted water. This video was produced by the International Water Management Institute (IWMI) and its partners as a training and awareness video for the street food sector. The Stockholm Water Prize is a global award founded in 1991 and presented annually by the Stockholm International Water Institute to an individual, organization or institution for outstanding water-related achievements. The Stockholm Water Prize Laureate receives USD 150,000 and a crystal sculpture specially designed and created by Orrefors. Founders of the Stockholm Water Prize are Swedish and international companies in collaboration with the City of Stockholm. They are: Bacardi, Borealis & Borouge, DuPont, ERV, Fujitsu, Grundfos, Hewlett Packard, Kemira, KPMG Sweden, Ragn-Sells, Scandic, Scandinavian Airlines (SAS), Siemens AG, SJ (Swedish Railways), Snecma/Safran, Uponor, Water Environment Federation, Xylem and Ålandsbanken Sverige. H.M. King Carl XVI Gustaf of Sweden is patron of the prize. 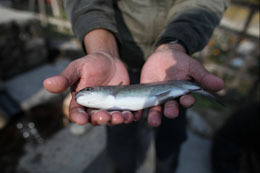 This news is from Stockholm International Water Institute (SIWI) 22 March 2012.